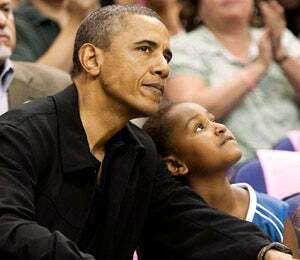 President Obama brought his youngest daughter Sasha to watch an WNBA game last night. 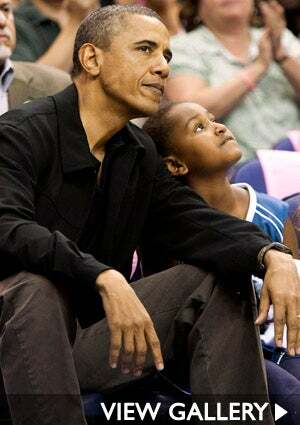 The Washington Mystics took on the Tulsa Shock as Obama, his daughter and her friend sat courtside. He is the first President to attend a WNBA game. Earlier in the day, the President played basketball against a team of Army soldiers at Fort McNair in D.C.